I just love gadgets and books and new food products for bakers. I describe myself as a baker rather than a cook or chef because I have so much fun creating baked goods – and transforming from traditional baking methods to allergen-free baking methods. While I can walk in and out of a cookware store rather quickly, get me near a store that focuses on baking products (like the King Arthur Flour Store in Norwich, VT) and I can spend hours browsing and dreaming up new recipes to try. So it’s probably not a surprise that I asked Santa for some new baking books and tools, and he really came through! 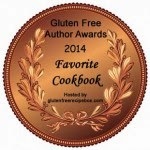 I had asked for The Gluten Free Girl and the Chef , and Jules’ new Free for All Cooking . I got both of those, as well as a Julia Child’s baking book (I’ll need to transform the recipes, but there’s some great stuff on technique in this book that I am looking forward to reading. I also received Dianne Jacob’s Will Write for Food . 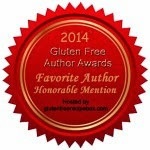 Yes, I will write for food, especially gluten-free and allergen-free food. Enough said. And look at the cool tools Santa brought me from the King Arthur store! I was lusting after that little brownie spatula. I know… not everyone needs a spatula just for brownies, but if you make as many brownies as I do, then you need one too. And that little pastry roller is just too cute! I’m not making resolutions, but I am prioritizing the projects I want to work on. 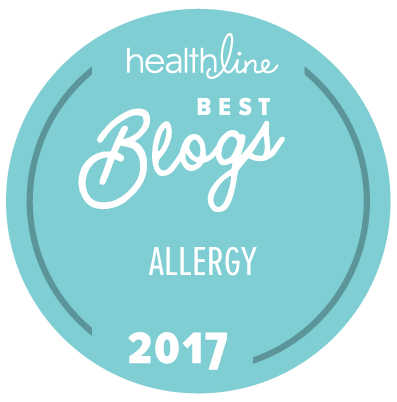 For this site I am planning to work on more recipes, tackle more technique and how-to bake allergen-free questions, and incorporate some video posts! And I hope to have a few surprises along the way! If there are any topics, products, or techniques you'd like me to cover, please let me know. The baking tools are too cute! I got my first allergy-free baker gift this year, a Kitchen Aid mixer. I'm excited that it'll help making cooking from scratch so much easier! Melinda, you are going to LOVE that Kitchen Aid Mixer. My sits out on my counter and I use it all the time! Glad you got your brownie spatula, Colette. I received a couple of cook books this year too. Bob's been marking the recipes he wants me to try. Rogene, it's amazing how happy a little baking tool can make you! You get requests for which recipes to make? I can't get my husband to look at a cookbook -- but that's okay with me! Santa was good to you! My suggestion for your next list for Santa is a copy of the Food Substitution Bible by David Joachim. Libby, I just checked out that book on Amazon. It does look a great addition to my cooking library. thanks for the suggestion!